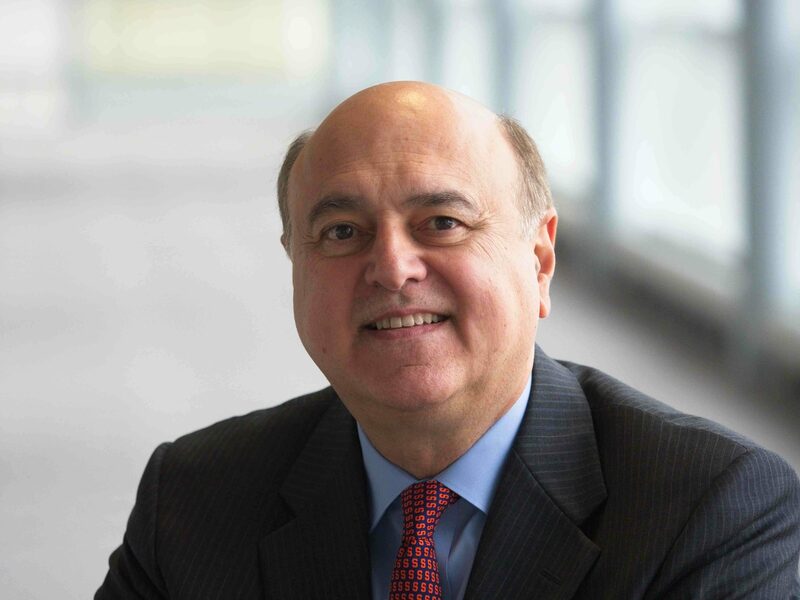 Syracuse University Trustee Edward “Ed” Pettinella ’76 MBA recently endowed a new junior faculty professorship at the university’s Martin J. Whitman School of Management. The $2 million gift will establish and maintain the new Edward Pettinella Assistant/Associate Professorship in Business. This is the second time Pettinella has endowed a professorship. The Edward Pettinella Professor of Finance, currently Amber Anand, founded five years ago, allows faculty to bring in the latest research into the classroom and pursue new research avenues. The Edward Pettinella Assistant or Associate Professorship in Business will help the Whitman School attract, support and keep world-class junior faculty. “We are extremely fortunate to have friends and supporters like Ed who understand that faculty are the heart of a university and how the intellectual capital of the faculty is the foundation for everything we do,” said Whitman Dean Gene Anderson. Pettinella earned an MBA from the Whitman School in 1976. As former president, CEO and director of Home Properties, Inc. an S&P 400 company which was traded on the NYSE, Pettinella ran a $7.6 billion real estate investment trust (REIT). The REIT acquired, developed and operated apartment communities, primarily in the Northeast and Mid-Atlantic markets. Home Properties was purchased by Lone Star Funds in Fall 2015. Prior to joining Home Properties in 2001, Pettinella’s business career was in banking. Pettinella serves on the board of directors of Manning & Napier (NYSE:MN), the Rochester Business Alliance and the SUNY Geneseo Foundation. Previously he served on the board of the National Association of Real Estate Investment Trusts (NAREIT), the National Multi Housing Council (NMHC) and was a member of the Urban Land Institute (ULI). At Syracuse University, Pettinella is a member of the Board of Trustees Executive Committee, the Audit Committee and is Chairman of the Budget Committee. He also serves on the Whitman Advisory Council and the Kuhn Real Estate Center Advisory Board.